Lead token. 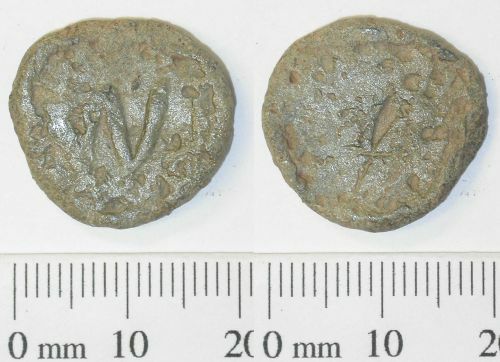 Circular lead disc with relief W on one side; there is possibly an incuse sword or dagger mark (similar to the sword of St Paul, like the City of London mark on early 16-18th century trade weights) on the other side. Post Medieval, 18th century? Diameter 20.06mm, thickness 2.70mm, weight 6.54g. Reverse description: Possible incuse sword or dagger mark.